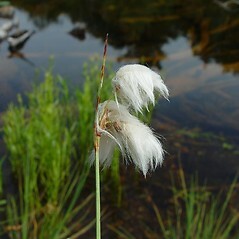 Few-nerved cottonsedge inhabits bogs, fens and meadows in all New England states. 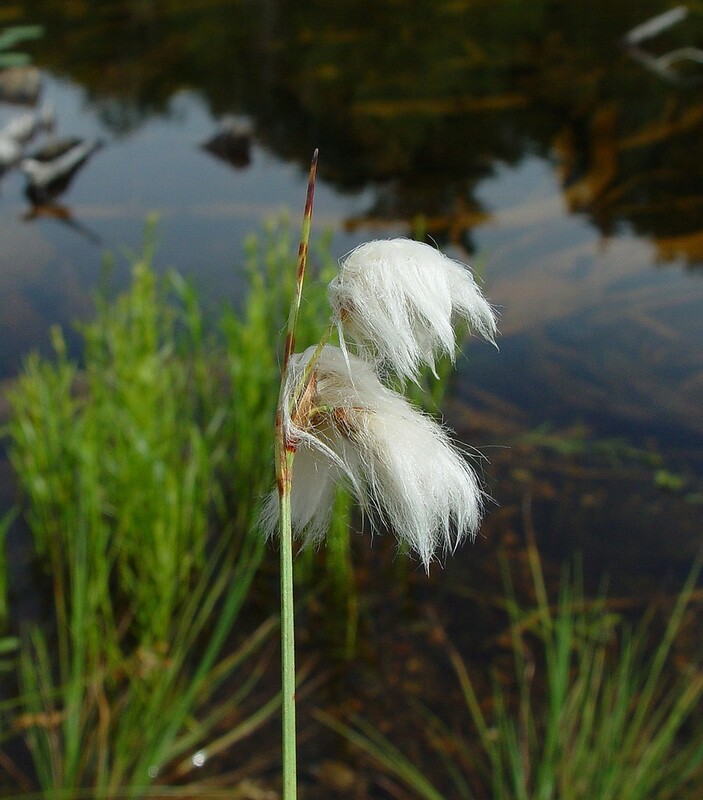 This handsome cottonsedge bears large tufts of spikelets that are white and wool-like when mature ("eriophorum" derives from the Greek word for "wool-bearing"). 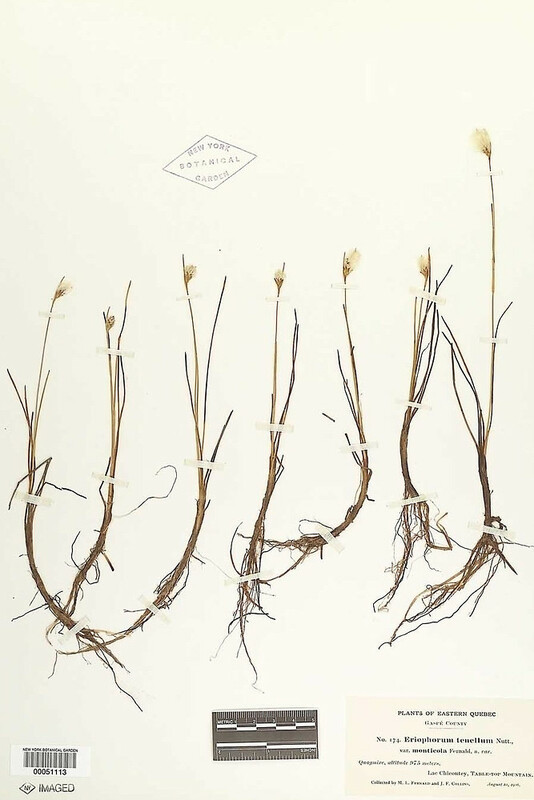 The common name, "few-nerved" doesn't refer to this plant's cool-headedness; rather to the absence of nerves or ribs on the red-brown floral scales. 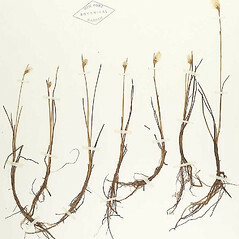 uppermost leaf blade 1–4 cm long, shorter than its sheath, and apical portion of stems and peduncles not scabrous (vs. E. tenellum, with the uppermost leaf blade 3–25 cm long, as long or longer than its associated sheath, and apical portion of stem and peduncles scabrous). 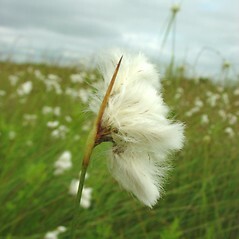 few-nerved cottonsedge. 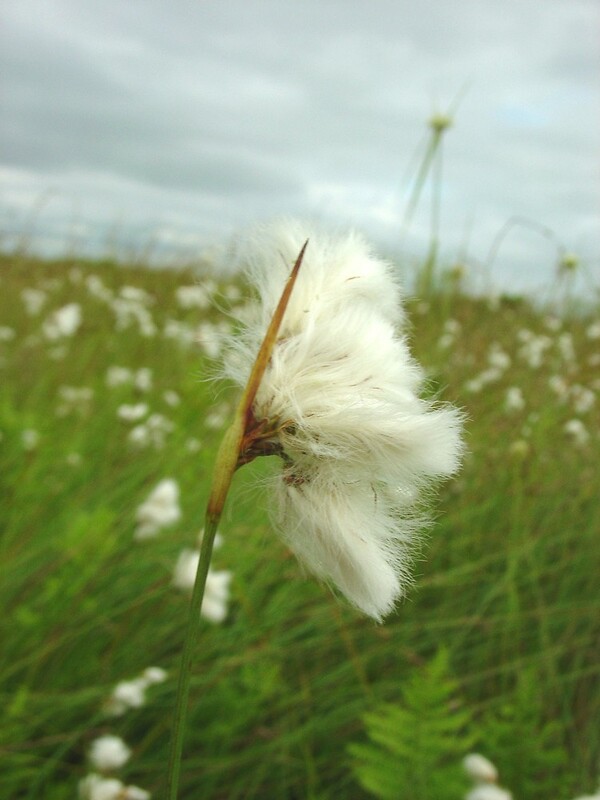 CT, MA, ME, NH, RI, VT. Bogs, fens, meadows.